For Love Cake's second birthday I declared a cake free for all! We had chocolate, ice cream, vegetables and even a monkey! What a party it has been. 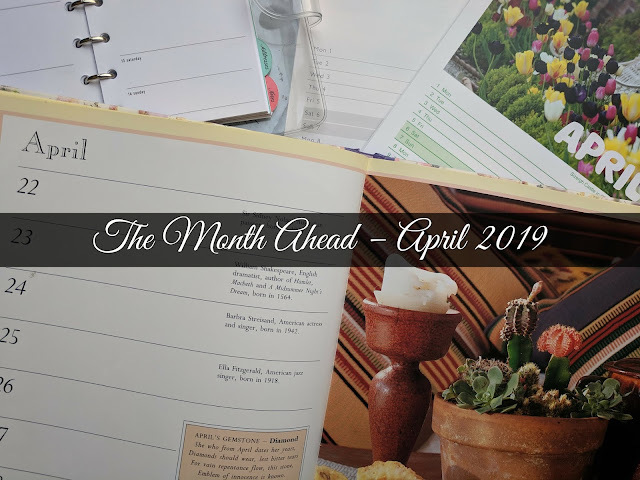 Let's see what everyone has been baking for this month's theme of 'The Month of Cake'. For our month long birthday party De Tout Coeur de Limousin arrived with with Black magic coffee and chocolate cake with sea salt chocolate ganache icing. It's a easy to make cake with stunning results and makes a lovely big cake! 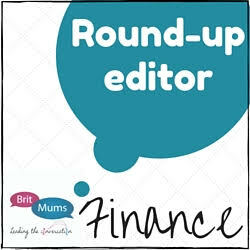 For this month Caroline from Caroline Makes... has been trying to eat a bit more healthily. She showed us with her Less Sinful Chocolate Yule Log or Swiss Roll that you can have your cake and eat it. 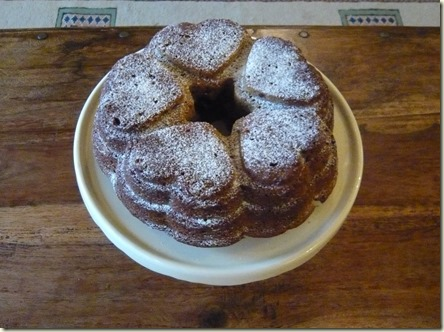 Over in France Jean from Baking in Franglais has been making sure no food goes to waste by adding them into a cake recipe. 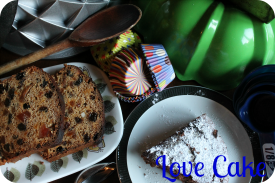 Her Spiced parsnip and mincemeat cake was baked in a previously unused silcone heart bundt mould – perfect for this month's Valentine's celebrations. Why have one layer of cake when you can have three? 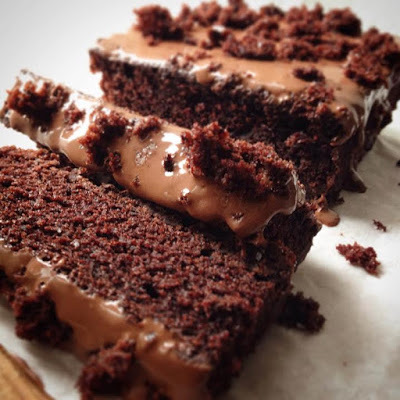 This is what Choclette from Tin and Thyme and so came up with her Triple Chocolate Cake. Two layers of chocolate cake with a filling of white chocolate mascarpone all topped off with a glaze of dark chocolate. 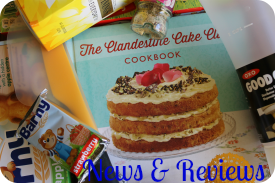 Up in Sheltand Elizabeth from Elizabeth's Kitchen Diary has been trying out a selection of gluten free goodies in a range of recipes for Valentine's Day Treats. Her selection of makes included Vanilla and Rose Gluten Free Layer Cake, Chocolate Dipped Oaty Cookie Ice Cream Sandwich and Chocolate Brownie Ice Cream Sundae. Celebrating Chinese New Year was Ros at The more than occasional baker. Taking her inspiration in the fact it is the Year of the Monkey she went monkey nuts with her Chocolate Peanut Butter Monkey Cake. Also embracing was the Chinese New Year was Kate from Veggie Desserts. 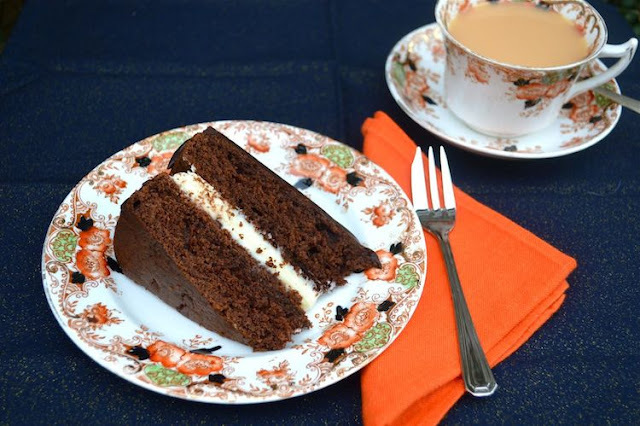 She combined her trademark vegetable ingredients to come up with Carrot Chinese Five Spice Cake with Orange Icing. 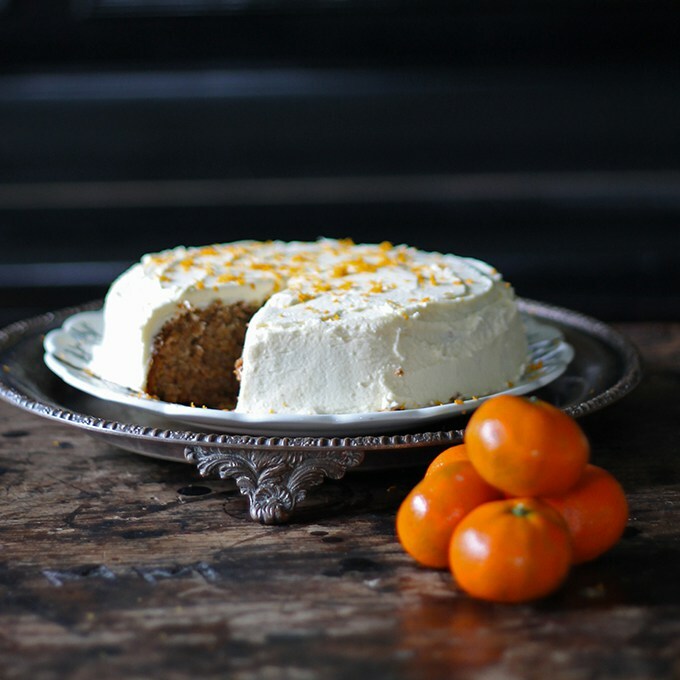 A brilliant twist on the standard carrot cake recipe. Caroline from Caroline Makes... was back again this month and she was feeling the love with her Chocolate Brownie Valentine's Cake with Stencilled Hearts. She adapted a recipe from the Great British Bake Off Big Book of Baking to create a four layer spectacular and decorated it with stencilled fondant hearts. If by now you've had enough of the sweet stuff then Shaheen of Allotment 2 Kitchen has a savoury cake for you. 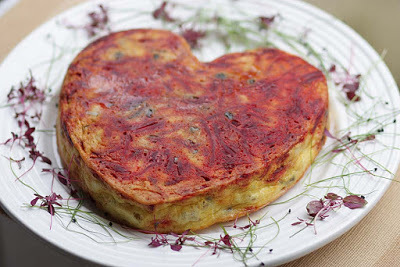 Her Big Fat Persian KuKu was made in a heart shaped mould with the egg mixutre contains beetroot, cauliflower and spices. 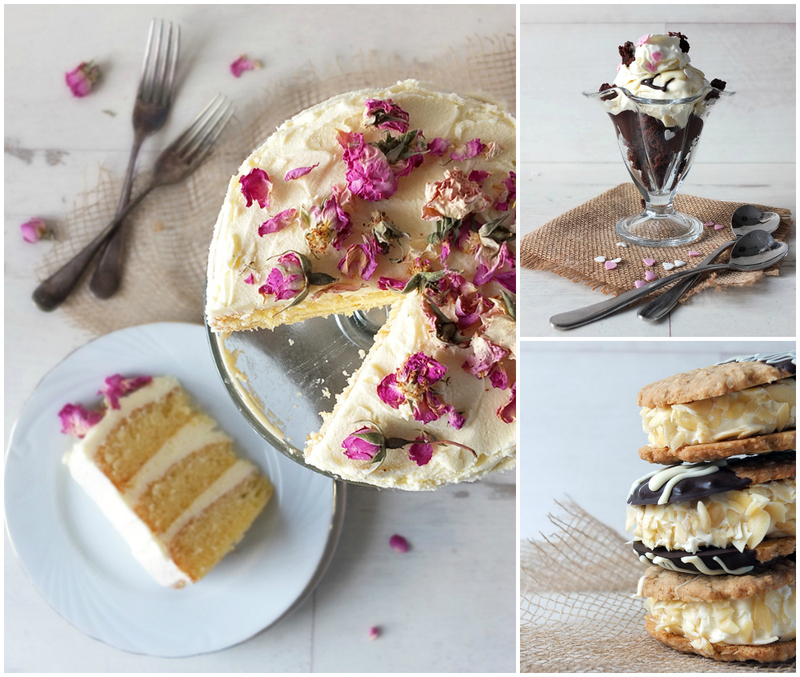 With Easter early this month it's time to start planning your bakes. 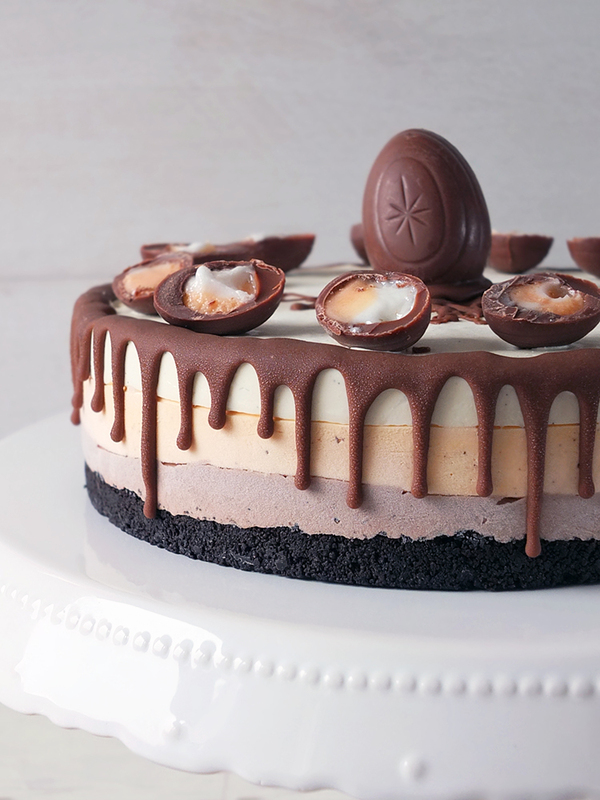 For the Creme Egg fans look no further than Elizabeth's Kitchen Diary's Cadbury Creme Egg Ice Cream Cake. A sure fire showstopper for your Easter Sunday dinner table. A couple of gluten free cakes for you now. 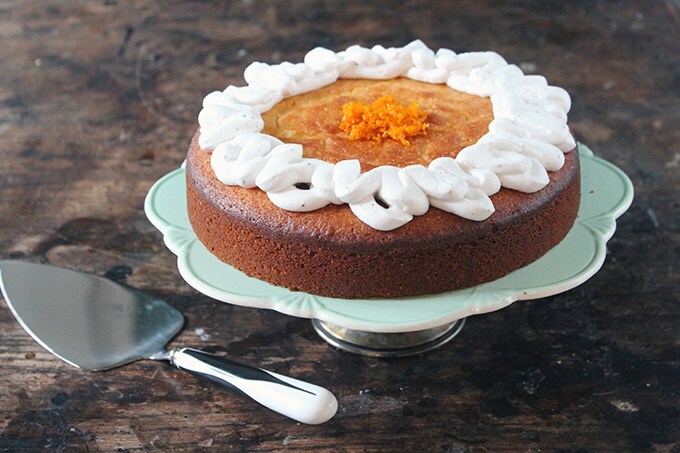 First up is Veggie Desserts' Almond and Orange Pan Flour Cake. Kate has been trying out PAN corn flour which is popular in South America. The cake is topped with pipped cardamom coconut cream. For our other gluten free bake The Gluten Free Alchemist has been putting her feet up this month! 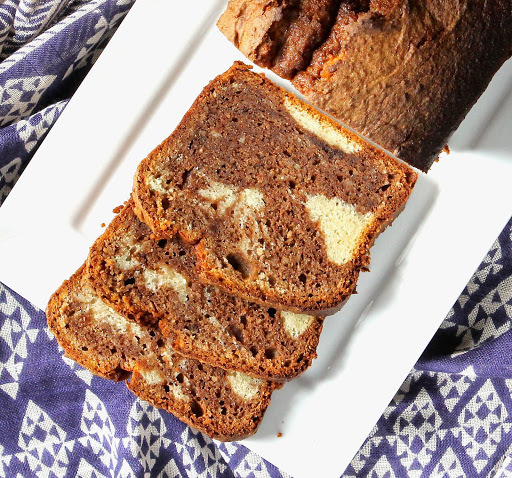 Just kidding, Kate, but the kid has been in the kitchen and Miss GF Alchemist has been baking Marble Cake. I'm hoping to see plenty more creations in the future. 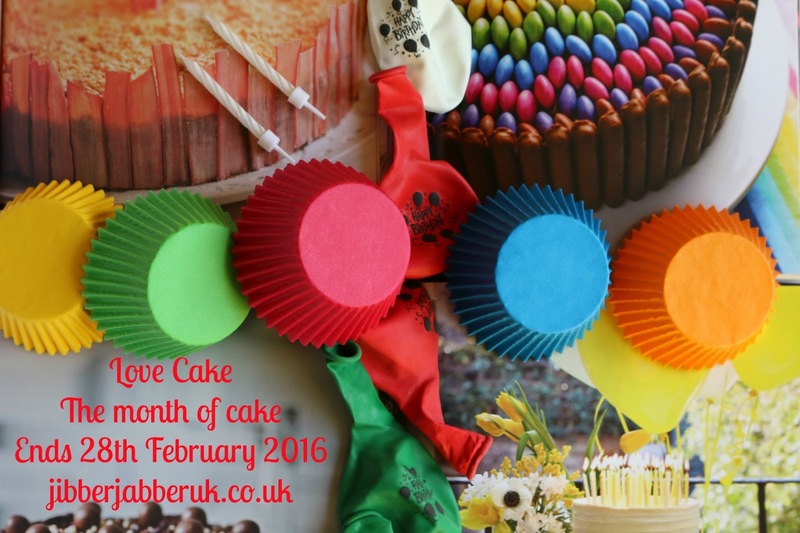 In this month of cakey celebrations Caroline has got in the festival mood with her Mardi Gras King Cake. Traditionally this is eaten from Epiphany in January until Shrove Tuesday or Mardi Gras as it is known in New Orleans. Last up for this month was my Plenty of Chocolate Cake. If you're going to have chocolate in your cake then you may as well have plenty of it! This is a chocolate cake with chocolate chips in it and on it with two lots of melted chocolate spread on top. Wow..... Great selection of entries this month Ness! Love the round up..... Perfectly put together! There are some lovely ideas to try there!